FreeOCR is a nice, simple front-end for HP's public domain Tesseract OCR engine (now used by Google) and is roughly the installable equivalent of the unrelated Free-OCR website. It interfaces directly with scanners in addition to importing image files and extracts text into a box from which you can cut and paste. The program is extremely easy to use and works well if all you want is text. It even extracts text from PDFs, though it exports only to text. FreeOCR's interface is straightforward and easy to understand. 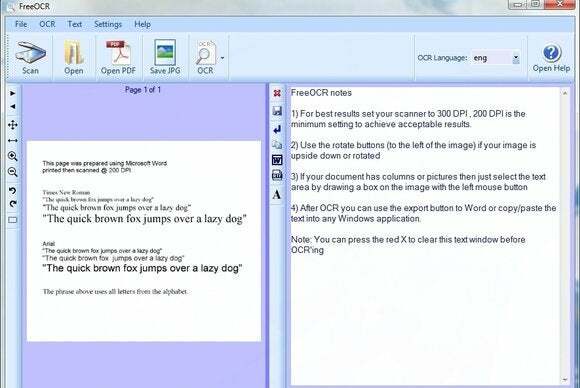 FreeOCR processes only one image at a time, but it does OCR multi-page PDFs. And, unlike the Free-OCR website, there's no limit on file size. Also, FreeOCR can create Word and RTF documents from the text it extracts, but it's just pasted text: There's no attempt to reconstruct the document or place images. Although it's confusing, you can opt out of unwanted toolbars and a change of browser home page. As far as it goes, FreeOCR is a neat little program, though it tries to install toolbars and reset your browser home page. You can install the program while cancelling and declining all offers, but though it's unintuitive and the negative response buttons are grayed out. 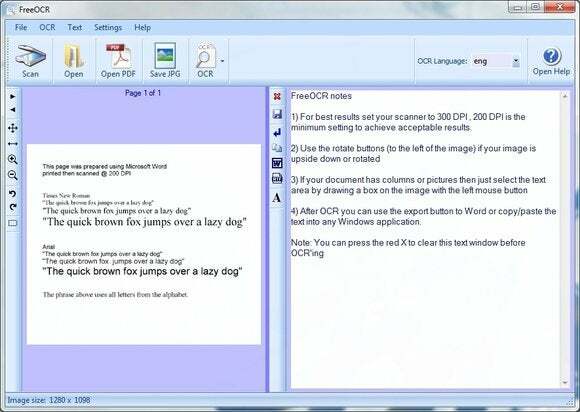 This competent freebie is excellent for extracting text, and that's all it does.